Everyone loves squirrels, or at least they think they do, until they become a nuisance when you have squirrels in the attic or squirrels in the loft that are refusing to leave. This is when you might need to hire professionals that offer expert pest control for squirrels. You will probably also need help to make your home squirrel-proof. Squirrels can often cause more damage than rats and house mice. When squirrels invade your home, getting them out can be a challenge. Even when you do expel them, they may just keep coming back. DIY (do-it-yourself) methods rarely work with the grey squirrel. That’s where our squirrel pest control London services come in. From the time they were introduced to Britain from America in the late nineteenth century, the grey squirrel has found its way to many places in Europe and other parts of the world. Today, they make up a large proportion of the small animal population found in woodlands, gardens and parks all over the UK. The squirrel is a serious competitor for resources, and in just a few years, it was able to squeeze out the red squirrel to such an extent that the latter was declared an endangered species. While they are commonly found in gardens and in the wild, grey squirrels also find their way into homes. It is very hard work to get rid of them, so it is definitely best to enlist professional services for pest control squirrels. There is no reason why you should have to share your loft with your new furry friends. Just as many other pests, squirrels get into your home for the obvious reasons such as food, shelter and water. However, most squirrels are attracted by the warmth and the security found in our attics and lofts. They have many enemies out there in the world at large. So, if they can find a warm place, they can stay around for a long time. The problem with small animals like squirrels is that they gnaw on water pipes and electrical cables. This can really cause havoc. For instance, if they chew on the pipes supplying water to your bathroom or the kitchen, you might have an overhead leakage which could destroy most of your home appliances. On the same note, if they destroy the lining on electrical wiring, they can expose them to weather elements, which can lead to a fire disaster. Lastly, if you have a timber roof, squirrels can cause a lot of damage if they nest up there. For just these few reasons, you can see why it is important that you get a professional team for pest control squirrel so that they deal with the problem. The best method of preventing these small and beautiful animals from inhabiting your home is by blocking all the entrances with wire mesh. Owing to their small size, they are able to slip in through the smallest of holes or crevices. There are different methods for controlling the squirrels such as the warfarin, which is only used by professionals. 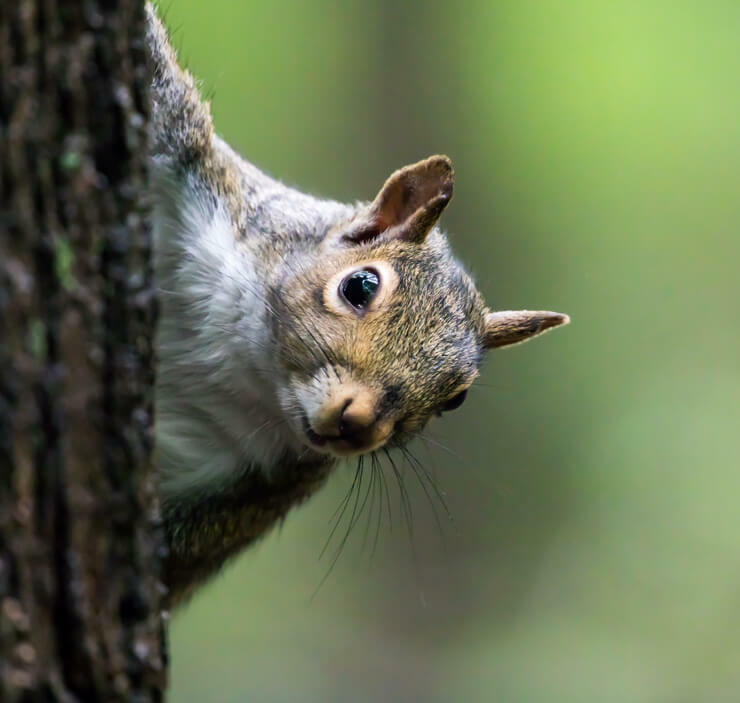 Another reason why you should hire a technician is because the authorities have strict guidelines concerning the treatment of grey squirrels. Before you can carry out squirrel pest control, you need to know the by laws that govern them. The good thing is that if you let a professional do it, you can rest assured that they know their stuff and will act within the law. Our squirrel control London will not only get the squirrels out of your house, but we will make sure they never come back.